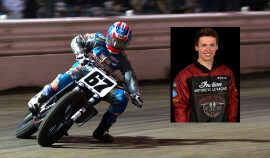 Davis Fisher started racing in the AMA Pro Flat Track Series starting in 2014, and in his rookie year at the age of 16 he finished second place in the GNC2 Championship. He went on to win the GNC2 Championship in 2015, clinching his win with two rounds remaining. 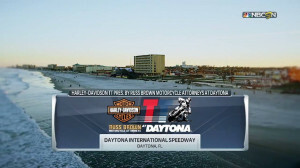 Not only did he participate in the inaugural Superprestigio of the Americas, placing 6th in the Final, he also competed in the 2016 X Games Harley-Davidson Flat-Track event, placing 8th in the Final. For the 2018 American Flat Track Season, he’s riding the Indian Scout FTR750 for Double D Performance. 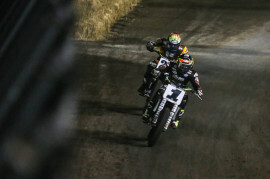 He’s had eight top-10 finishes so far this season, and although he hasn’t claimed a podium yet, he came close at the Springfield Mile in an epic five-racer battle for the win that left him in 4th place at the finish. 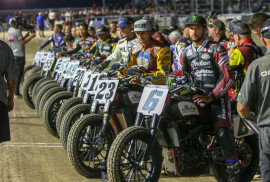 2017 Davis Fisher finished the 2017 America Flat Track season in 8th place with 10 top-10 finishes. 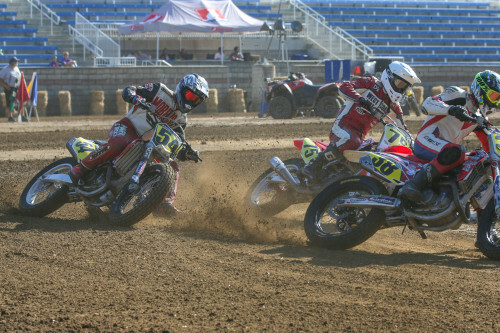 His best finish in 2017 was 4th place at the Lima Half-Mile. 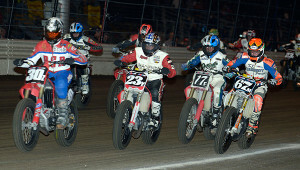 Secured three Top 10s throughout the season and debuted Harley-Davidson’s new XG750R bike at the Springfield Mile I. 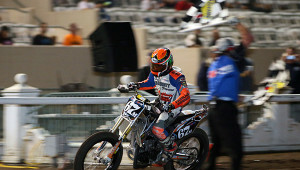 Raced for Factory Harley-Davidson and was first rider to race the XG750R. 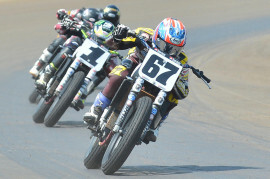 Crowned GNC2 class champion with four victories (Springfield Mile I, Black Hills H-M, Springfield Mile II, Delaware H-M). Raced for Parkinson Brothers Racing. 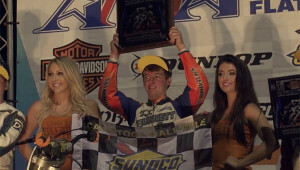 Fisher missed out on the GNC2 championship by a single point despite a hot end of the season that saw him win the final two races. 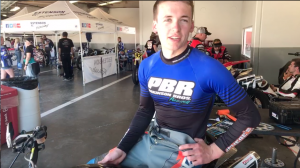 He missed two races due to an injury, but made every other main, hitting the podium nine times. 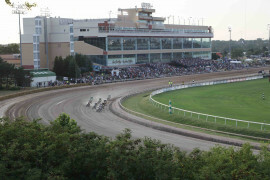 Round 4 of the AMA Pro Flat Track season at the Sacramento Mile on Saturday, May 30, is the first West Coast event of the season and the only Mile run in the Western part of the country in 2015.